It’s been a long two years since I hosted my last pub quiz in Beijing, but I’ll be getting back in the host chair tomorrow (Monday, December 19) at The Bookworm. 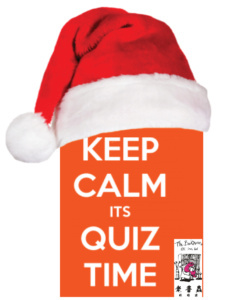 8 pm, free, teams up to 6, winner gets a big pot of mulled wine. It’ll be a great time. More details here.